1.So what drew you to writing in the first place? I’ve always had a vivid imagination and a healthy love of stories. I first decided I wanted to be a writer after I wrote a story that made a big impression on my 6th grade teacher. We were assigned to write a story about Christmas and mine was about a homeless family struggling to get help at Christmastime. It showed a lot more attention to detail and characterization than he’d expected and he encouraged me to keep writing. My interest grew from that first experience. I wanted to keep creating things that entertained and interested people, made them think about the story. 2. What inspires you? How do you get ideas for stories? I get inspiration from all sorts of sources. It could be because I saw a movie or read a book that really moved me or because something came to mind out of the blue. Just the other day I had an idea because it looked like rain and we weren’t sure if it would rain out my son’s baseball game. From that my mind clicked toward what would happen if we got caught out in the rain and things went unexpectedly. I’m always jotting down different ideas. 3. So you’ve written a ‘gothic horror’ novel. What does ‘gothic horror’ mean to you? Gothics were these novels that were a lot of things at once: horror, romance, mystery and suspense. There was a dark overtone to everything and there was always this great mystery happening to a tragic female figure lost in the Victorian age. 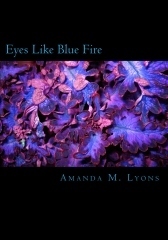 Well Eyes Like Blue Fire has all of those elements in a modern setting. The novel deals with vampires, ghouls, ghosts, the undead and the monstrous elements of humanity. So in the end it’s a horror novel with strong gothic elements. There’s romance, tragedy, horror, death and a sort of dream like quality to everything. Everything is sort of surreal and dark. It’s nothing at all like popular paranormal romance but it also isn’t your traditional horror novel. Because it shares so much in common with the elements of the traditional gothics but takes it into horror territory I call it gothic horror. Katja is a vampire caught in this tragic spiral of a life, even as a vampire she seems to keep having terrible things happen and so she’s alone. Then she meets Raven who could be a big change for the better, a new hope in her life. Instead she runs and finds herself caught up in all of these mysteries about her sire’s life before her. All of which comes to threaten both her and Raven. She has to face her fears about failing and literally save her future from her and Anton (her sire)’s past. It’s about choosing to move on from your past. 5. What kind of reader will this appeal to, and why? Hmm, I think it could appeal to a lot of different readers actually but it would probably be most appealing to readers who like character driven novels that also happen to have horror elements and a love for the surreal quality of dreams. I started ELBF long before PNR became such a powerhouse genre and horror started being less interested in the potentially tragic and dramatic over things like zombies, cannibals and killers (not that all of those aren’t valid topics. It just isn’t the road I took with ELBF). I’d say it was influenced more by writers like Anne Rice, Shirley Jackson, Caitlin R. Kiernan, Poppy Z. Brite, Maryann Mitchell and Jemiah Jefferson. Their books and stories tend to have dark settings and tragic pasts to affect their characters who are the center of the story rather than what’s come to change their lives. I think the people who will enjoy my book might have a fondness for the dramatic. I have a few different novels in progress. A sequel to ELBF called Cool Green Waters, a novel about a writer who ends the world and then tries to save it called Other Dangers, Jodie which is about a girl and her dolls, a novel about a boy and his mother getting lost in another world and another about a farm where the animals start to change. As I’ve said before I have lot of ideas and I’m always trying to keep up with them. 7. What advice would you give to other writers? Never give up, read a lot, and respect everyone even if they don’t respect you. More than anything it’s you that has to answer for what you do, how much effort you put into it and how skilled you are at getting it on the page. If you don’t do that nobody else can do it for you. 8. Who is your favorite writer, and why? I have many favorite authors. I read so much that I’ve collected them over the years. The one’s I go back to over and over again are Stephen King, Gary Braunbeck and Jennifer Weiner. All three of them are favorites because of how much they care about their characters and the story. King is a master storyteller, even when things don’t work out with the book you remember what bits did. Braunbeck’s novels and stories have a soul to them, they matter more than other books because they touch you deeply. Weiner’s books( unlike other books classified as chick-lit) are so well put together you don’t realize how masterfully she’s manipulated you to see exactly what she wants you to see and made you feel exactly how she wants you to feel. She doesn’t write fluff, it’s drama and tragedy masquerading as fluff. It’s funny how life works, some times. Several years ago, I had a vivid dream about wandering around a Mayan temple and looking at the carvings of gods within it, and the brilliant blue Caribbean sea outside. It felt so real, I almost thought it might be something like a past life. Inspired by the dream, I jotted down an idea for a novella. I delayed writing that novella for years because I wanted to actually visit a Mayan ruin, to see what one actually looked like. After years of trying to find a way to make that happen, I decided to hell with it and just write the damn story. I wrote it last year and sent it around to a few magazine. Not surprisingly for a story of its length, it wasn’t purchased, so now I’m ready to self-publish it. And then just last weekend, my sister got married in Cancun. I flew down to see the wedding, and on a spur of the moment idea, booked a half day tour to Tulum, a Mayan ruin just down the coast. 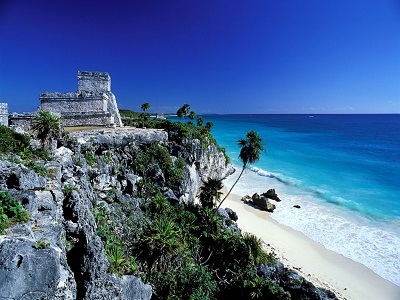 There was my Mayan ruin from the dream, complete with pretty blue ocean and cliffs. Even funnier, I spent $3 on a stock image photo of a Mayan temple to use for the cover of the novella, and here I could have used some of my own photos I took this last weekend. Which I might still use. I’m not sure if there’s really a point to this post other than to say don’t let research or life ever hold you back from writing. Write the story, and who knows what will happen? I’m happy that I did do enough research while writing to get details about the heat and the jungle right (ugh, humidity! ), and my trip there only confirmed things I’d already envisioned. Today I am interviewing Shaun Horton, who writes Horror and has just recently published his first book. Welcome him to the blog! 1. What got you writing in the first place? If you were to ask my family, they would probably say I’ve always been writing. My grandma had one of the first commercially available computers and I was almost always on it, whether playing those first text computer games or just playing with the word processor. If you were to ask me, though, I would have to say what really got me writing was my 6th grade teacher. He pushed me to enter a young writer’s competition, for reasons I don’t remember, which I then subsequently won and got to skip school for a day to visit a young writer’s conference at a local college. I’ve pretty much been writing off and on ever since, up until the past few years where I really decided it was time to take the talent everyone else told me I had and try to do something with it. 2. Where do you find inspiration for your stories? I get my inspiration from a lot of different places, up to and including nowhere at all. I’ve found that the more I use my imagination to create, the easier things come and I’ve even had stuff just randomly pop into my head lately. There really is no shortage of places to draw inspiration from, to dreams, the nightly news, even just watching the birds at the feeder outside. Everything has a story to tell, if you think about it. It’s just a matter of putting it down and giving things little tweaks here and there to make it more interesting or to draw out the emotion that you’re looking for. 3. What drew you to horror? What other genres are you interested in? I couldn’t say what drew me to Horror, really. It’s just the way I’m wired. When I was little, E.T. scared the hell out of me, my mom had to carry me screaming from the theater. A year later we went and saw Gremlins, and not only was I not scared, I was cheering for Stripe, the main little monster. I also think there’s just something more pure in horror that you don’t really see in other genres. Like few things expose people for who they really are like life-and-death situations or facing things which no human being should be forced to. As far as other genres go. In the past I’ve written short stories which stretch the length of the written word, from humor to fantasy, crime to erotica. Looking toward the future though, the genres I’m most likely to dabble in seriously along with my horror would probably be fantasy, with science fiction a distant second. My favorite writer would have to be Stephen King. He almost single-handedly brought the horror genre into it’s own with his publications of Carrie and Salem’s Lot. In addition, his book On Writing is one of the best books on how to write I think has ever been written and has helped me immensely in pursuing my craft. My latest book and debut novel is The Unknown Neighbor, self-published through Amazon. It’s a short psychological horror novel which began with a simple thought. We’ve all seen on the nightly news where some guy goes nuts, wanders next door and kills the entire family. What I wondered about was “What if you were the family that lived on the other side of him?” How would someone react when faced not only with the news that your neighbor was a killer and that a family on your street was killed in cold blood, but that for the turn of a shoe to the left instead of the right, that could have been your family instead? It’s not a fast-paced book by any means, it’s meant more to dig into the psyche and ask if you think you’re doing enough to protect your family from the horrors which lurk outside. 6. What’s the biggest lesson you’ve learned in publishing your own book? The biggest lesson I’ve learned in publishing my own book is to be grateful for having that opportunity. I originally planned on shopping it around to literary agents once it was finished and changed my mind after encouragement from my editor (which I partially think she suggested because she didn’t think anyone would take it.) and after reviewing several prominent blogs on the issues. I’ve since heard horror tale after horror tale of writers who lose all control over their works, saddled with titles and cover art they don’t agree with and trapped in contracts which earns them pennies on the dollar for every copy sold. So I really learned to appreciate the control I have over choosing my cover art, title, and who I work with for editing. 7. Tell me about your next project and/or book. My next work is tentatively titled Class 5. A fast-paced action-horror story involving a stranded alien, a military unit and a woman and town caught in the middle. It should be off to the editor at the end of this month and I’m hoping to get it on Kindle by August or September, but we’ll see. I’ve also just started another piece which doesn’t have a title yet, but is running under the file name Black Lake. Should be interesting, it started with the opening scene and is just building from there. I honestly don’t even know where it’s going to go next. My writing process is a little odd in that I’m not one for schedules. I don’t get up at 8, write from 9-noon, edit in the afternoon then spend dinner with the family. Still, I do try to work on something every day, generally later at night, between 9 PM and 2 AM. Just something about writing horror at that hour which tickles me a little bit. Once I have a piece finished, I generally print it out to edit. Changing mediums allows me to let my eyes rest some and gives the work a little different perspective. As well, marking the work in pen (yes, red ink) and then having to transfer those changes into the computer makes me see the mistakes twice, which helps me note where my shortcomings are so I can learn from them and make them less on the next piece. 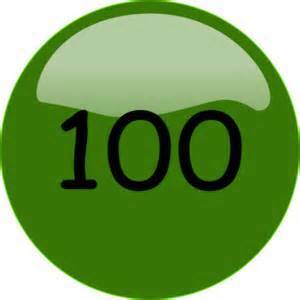 First, I want to celebrate the fact that yesterday my blog had its one hundredth follower! *blows horn and throws confetti* Thank you to all my followers! I try to keep things interesting here with reviews, interviews, and publishing industry tidbits as well as stuff about my own projects. Tomorrow I’ll feature the next interview in my own lineup, with author Shaun Horton. 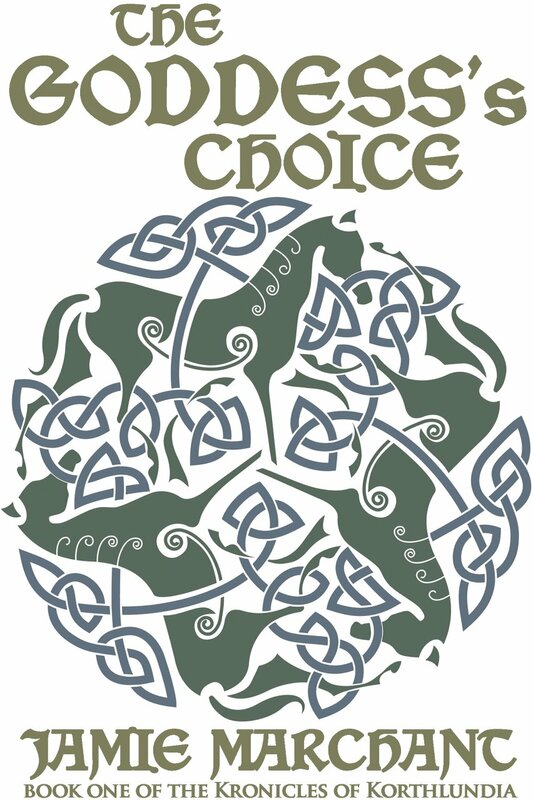 Ingram’s and Baker/Taylor now listing Indie books beside traditional! Remember when independent bookstores wouldn’t touch indie print books because they couldn’t get good discounts? That’s changing. Now. So now it seems that independent bookstores AND large chain bookstores like Barnes and Noble can find your indie book published by Createspace if it’s in the Extended Distribution and if you purchased the $10 ISBN to list your own publishing company. And your books show up mixed in with traditionally published books in Ingram’s and Baker and Taylor catalogs. And they can purchase a single copy, and still get a decent discount. Big things are happening. Read the whole blog post! So how did you start write stories? I’ve written short stories since a very young age, although it’s only recently that I’ve made the effort to share them with people. In fairness if it hadn’t been for the support of a few other writer’s who told me that my writing was worth developing I wouldn’t have progressed beyond that stage.2. Where do you get your inspiration for your fiction? My inspiration comes from things I’ve read, for example ‘Paradise Lost’ has been a huge influence on my current trilogy. I also like trying to answer questions that I have about the world around me. And I have great fun with bad characters doing good things for the wrong reasons.3. You seem to enjoy a dark tone to several of your works. Why do you think that is? In many ways I think the darker side of life is more fun to explore. That’s partly to do with the taboo of it, many people shy away from looking too closely at the darkness around us. To an extent it’s also coloured by my understanding of the world and on more than a few occasions I have been in very dark places. Being able to explore that in the relative safety of writing is fun. 4. Tell me about your latest novel. My latest novel is due for release in the next couple of weeks. It’s called Faust 2.0 and concerns the birth of a new entity on the Internet. Is it an emergent AI? Or is it a more ancient evil discovering a new domain. It’s also the first book in a new series that I’m looking forward to developing. 5. 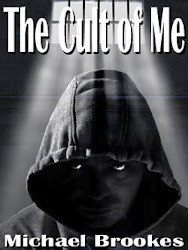 Your book “The Cult of Me” includes discussions of religion and good vs. evil. Tell me more about that. I’m not a religious person, but the concept of religion, or rather theological structures and explanations fascinates me. The Cult of Me (and the sequels) is insipired by ‘Paradise Lost’. With it I wanted to create a world where God as an entity exists and fits in with our understanding of the universe. I also wanted to explore why he would create a universe and then leave it to its own devices. I’ve just started a science fiction novel tentatively called Sun Dragon. It’s a bout the first manned mission to Mars and things go downhill from there. 7. Who is your favorite writer, and why? A tough question! My favourite author is probably Ian M Banks, his book Excession is my favourite book ever written. It epitomises everything that is great about science fiction. Terry Pratchett and Clive Barker would also get honourable mentions. 8. What kind of a writer are you? Outlines or write the story blind? For novels I am a planner. I like to know where the story is going and a rough idea of the characters. Of course it evolves once I start writing. For shorter works I tend to just dive in.